Too many business consultants sites seem to tell us about their professional qualifications. This is the 21st century and people cant be so one-dimensional any more. Chill. Have fun! Most importantly, be you. I started in business as a proofreader and calligrapher, branching on to typeface design. You can see more of my work at JY&A Fonts, the leading type brand in the southern hemisphere. The graphical fonts at this site are from the same company: they include ones I worked on with Slovenian designer Jure Stojan. I dont mean karaoke (which Ive never tried) but I had the good fortune to have performed once with Jazz Dive during Wellington restaurant Bouquet Garnis celebration of its buildings centenary, with the Gabor Trio at a friend�s wedding in Nelson, and with the U Turn boys at the Dao, in downtown Papeete. Sorry, no sound samples. Anyone who knows me knows my love of automobiles, from the museums I visit in Europe to the cars I drive. Though I had an inauspicious start to motoring, in a HC Vauxhall Viva on rural roads. The first car I got behind the wheel of was a four-door Mk I Civic when I was around two (the car ignition was off and the car was stationary). But since then Ive tackled everything from a new Mustang to a Peugeot 106 GTI, on three continents. I imagine if I didnt have this job, which I love, I would be a motoring journalist. There probably isnt a current model I dont know something about, and you can count the Subaru-based Yunque out of Red China and the South African Volkswagen Polo Playa. Thankfully, I wear clothes a lot better than Jeremy Clarkson, and my hair is better than Jeff Daniels. Of published car nuts, probably only L. J. K. Setright had more degrees. When I say related links, I mean related: Martin Yan, the chef, is a very distant relative. Leslie Charteris, born Leslie Bowyer-Yin, author of the Saint books, claims imperial heritage, as I do, though my genealogy suggests were pre-dynastical royalty. And I can cook and write, so there must be something in it. I use a 47-year-old Voigtländer Bessamatic Color-Skopar 35 mm for my photographic work, some of which has been published. Most of this work is outdoor, naturally litusually my preferencebut I have done very occasional studio work. Voigtländer is a respected brand dating from 1756 but disappeared in 1972, before a 1997 revival by Ringfoto GmbH and today, by the Japanese firm Cosina. I havent found a camera that does a better job, which goes to show newer doesnt necessarily mean better. Scans, apart from the photographs of Ann Fryer and Jennifer Springgay below, are done on a Microtek ScanMaker 5700, which I bought to replace a faithful E3 from the same company that was rendered obsolete by a computer upgrade. Normally, I shoot on Kodak film, though occasionally Ive strayed to Fuji. You can see some of my work in Lucire and in the top right-hand corners of the pages on this site. Theres no newfangled digital photography here. Christmas comes early to Galeries Lafayette in Paris, November 11, 2006, as Brigid and I walked around the Grands Boulevards. Kodak 200, f5·6, 1/30 sec, using available light. 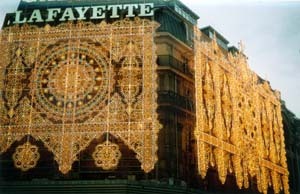 This café caught Brigids eye in Reims, and we returned there the following day. The Café du Palais has been in the capital of Champagne since 1930, and we ate there on November 15, 2006, before some anti-war demonstrators protesters took position across the road the following day. A scenic café in a city we grew to love. Amber Peebles, Miss World New Zealand 20034. Amber is one of the easiest models I have ever worked with: spiritually aware, smart and beautiful. Its no wonder our shoot in Auckland on November 16, 2003 came out so wellsee Lucire to check out more pics. 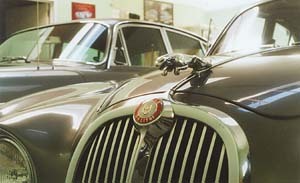 The leaper mascot on the 1965 Jaguar S-type at the premises of Classic Jaguar Limousines, Dunedin, New Zealand, March 3, 2003. Shot without a flash, indoors, at f8, 1/60 sec, on Kodak Gold 400 film. 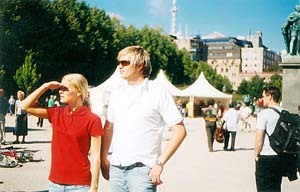 Popped on the ferry from Trelleborg, Sweden to Berlin, Germany, July 2002. 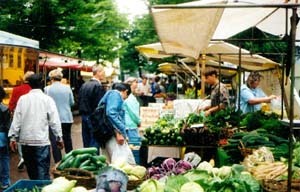 At the fruit markets near Bayreuthstraße. 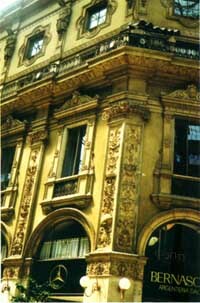 Inside the Duomo Arcade, Milano, Italy, July 2002. 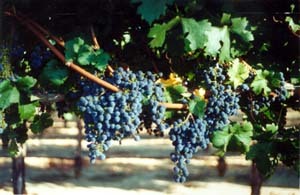 Rutherford Cross Road, Napa Valley, Calif., September 2000. See It Will Be Forever in Lucire here. My Jack Yan & Associates colleague Jennifer Springgayor as I now say, This is Mrs H. Shes gorgeous. 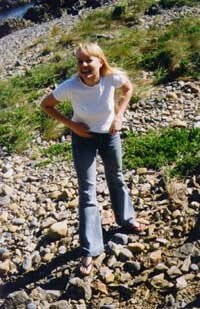 Shes one lady who knows how to take care of herself. Photographed September 28, 2002, at Lyall Bay, Wellington, New Zealand and commissioned by Jennifer. Less than two months later, I MCed her wedding. Used with permission. Scanned on a Microtek ScanMaker E3. 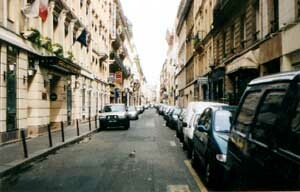 My hood in Montmartre, Paris 9e. No flash on this: just a very steady hand inside Tsirco, the jazz restaurant in Montréal, Québec. 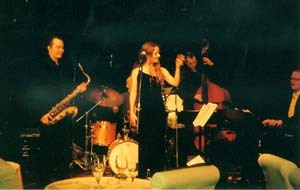 Victoria Doyon performs The Girl from Ipanema during one show in September 2003. Ann Fryer, associate publisher of Lucire in New York, wearing items from Megan Tufferys winter 2002 range, and menswear designer Ehud Joseph, modelling for Lucire in a shoot at Makara Beach, New Zealand, in March 2002. Click here for the published shoot. Styled by Sally-ann Moffat. Scanned and developed by Fuji Image Plaza. I dont know these folks. In fact, I was photographing something else altogether, in Stockholm, September 7, 2003, a few days before the Anna Lindh assassination not far from this location. This couple happened to be in shot and it does look like theyre posing. Some of the best photographs are the unplanned ones. 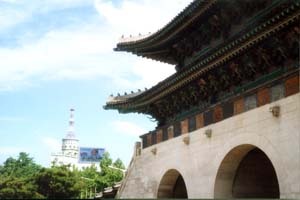 Contrasts in Seoul, Korea, July 2001. Copyright ©20026 by Jack Yan & Associates. Photography ©19992006 by Jack Yan. Top photograph of Jack Yan and the Renault Mégane Estate by Brigid Clarke. All rights reserved.